Salik Shaikh practices in the area of immigration law. Salik works with employers to obtain employment authorization for intracompany managers and specialized knowledge workers, workers in specialty occupations, investors, trainees, and business visitors. His expertise includes counseling individuals and their families in obtaining U.S. permanent residence and U.S. citizenship. Salik provides customized advice and assistance to a broad range of foreign nationals applying for entry to the U.S. through consulates and embassies worldwide, specializing in complicated family-based matters. 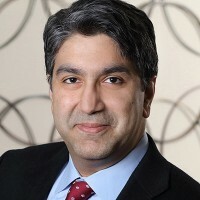 He also advises on the President’s 2014 Executive Actions on Immigration, and has successfully represented clients in applications made under the Deferred Action for Childhood Arrivals program (“DACA”). Additionally, Salik has worked with individuals and hospitals in the process to obtain B-2 visas and extensions to facilitate medical treatment. Further, he has assisted students with their visa applications.